SOFE is the closest dupe in the comparison picture. It is not readily available in the US, but a friend of mine from Belgium was kind enough to send me a bottle. Recently, though, Milani came out with a color called Dress Maker, and after seeing the comparison pics on Steph's Closet, I had to have it. It's available at CVS in a special display (or wherever Milani is sold), and also on their website. If you can't find it in a brick-and-mortar store, I highly recommend ordering it from the website as it is selling for quite a bit on ebay. Yikes, my hands look so red in the bright sun! I have an olive skin tone so "lobster hands" usually isn't a problem for me, but these pictures would have you believe otherwise! In the bottle, SOFE is slightly more on the sage side while DM is more minty. 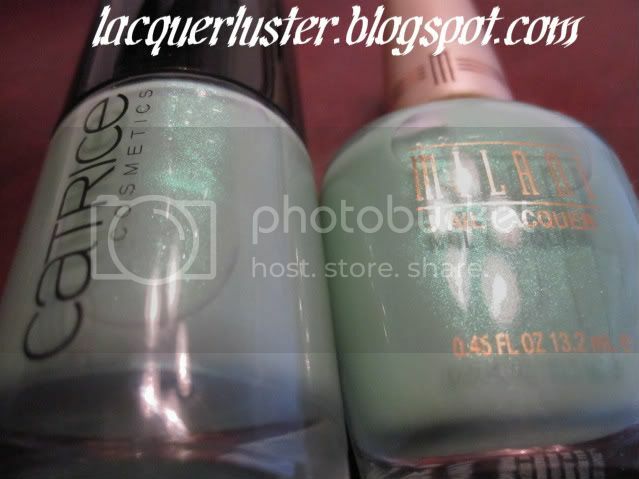 DM has more shimmer, SOFE's shimmer is more subtle. 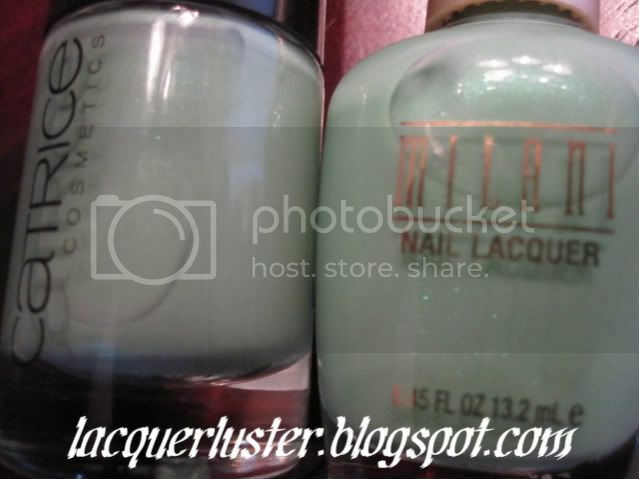 DM is slightly more sheer; in the pictures I am wearing three coats of DM and two coats of SOFE. Both formulas were easy to work with, but SOFE comes with a wide brush while DM has a thinner, standard brush and took a bit longer to dry (probably because it required more coats). On the nail, it's really hard to tell the difference between them except for the shimmer. Overall, I love both colors and formulas. 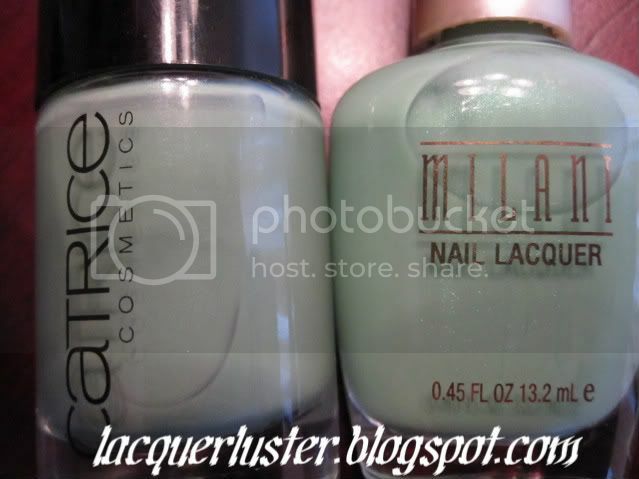 Of course, most people will not have to worry about which to choose since it's hard to find a place where both Milani and Catrice polishes are easy obtainable.